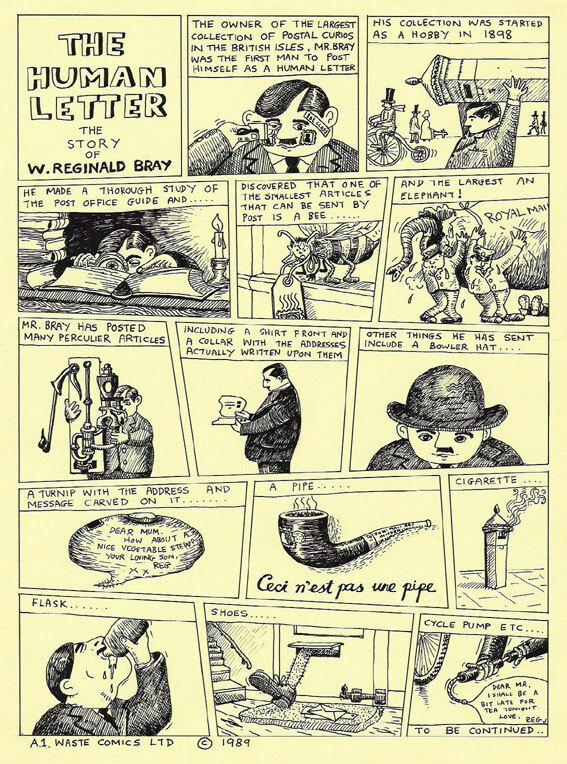 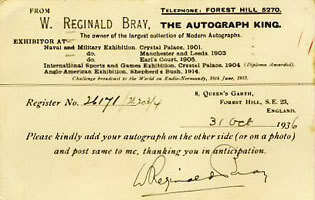 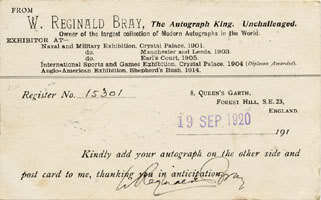 As collecting autographs became Reginald's dominant passion he started to change the way he requested them. 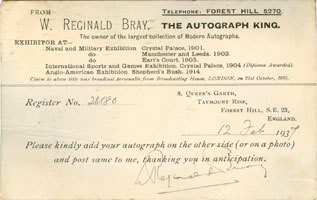 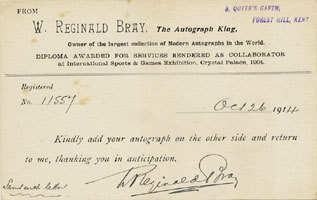 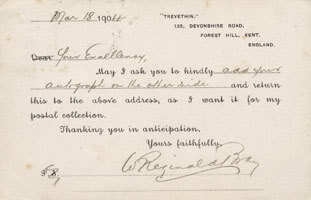 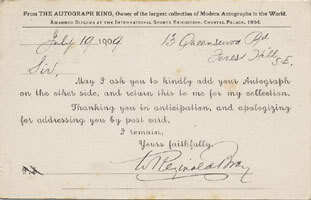 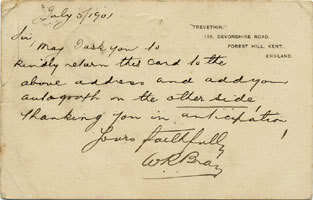 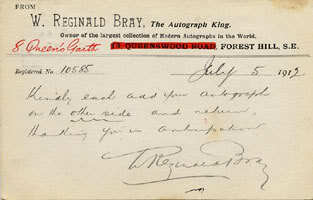 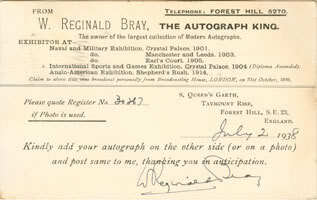 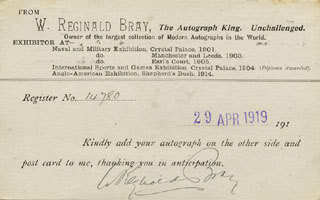 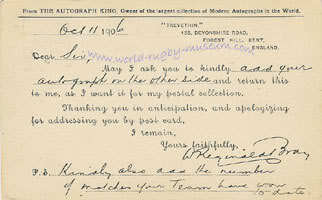 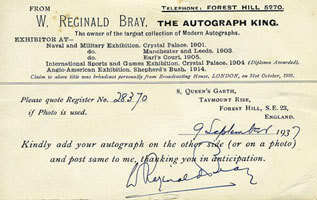 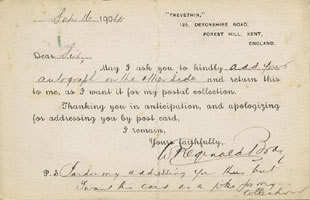 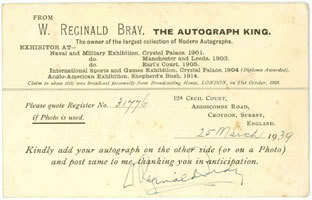 Although some autographs were collected on picture postcards or plain postcards with photos attached, the majority were just plain cards asking for the "target" to sign and return. 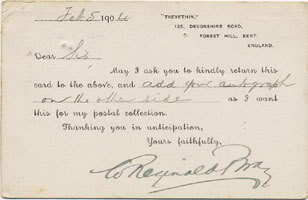 Considering that Reginald was sending approximately three cards per day he decided to develop a more efficient method by having special cards preprinted with his details. 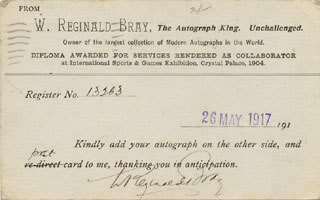 This also served to lend his request some level of credibility as well as reflect his success regarding his status in the world of Autograph collecting. 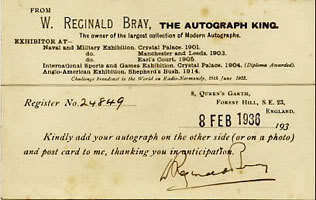 Each of the card types identifed to date have been identified a Type No, if more come to light then this numbering system will be revised accordingly.